How to sell effectively by looking into these minute details? We live in a digital era where we have the ability to set up a basic online store within minutes. Many people may feel just listing their products and putting up some photos may attract them good business. But it doesn’t actually work that way. You have to put in a lot of work to make your brand recognizable. Is your site workable on all browsers and compatible with all devices??? There are many websites that work well on google chrome but have certain alignment issues when viewed using Mozilla Firefox and internet explorer. Customer may come into your website through any of the browsers as per their access convenience, at that time the response rate of the webpage should be good. The webpage while opening should not look in a haphazard way due to compatibility issues otherwise customer easily loses interest. Also, it should be compatible with every device that includes desktop, laptop, Tab and smartphone. Are your products easily searchable??? Many times, customers browse through many sites and come to your webpage only to find that what they are searching for is not easily searchable on your site. Make your product easily searchable by adding a search field icon at the right top corner of the webpage. The customer may search for a product with different names. Adjustments and keyword insertions should be done so that the customer should easily get what they are searching. Images matter a lot in the eCommerce business. When used effectively it can drive great sales as it conveys vital information. Most of the sellers ignore this aspect as well and upload images that don’t offer clarity and easily understandable by the audience. When it comes to buying a product online, people like to view minute details about the product. An example of a sofa below where you can get a close-up view of the texture as well. There are some zoom tools available online, you can check out that or else if you buy a multichannel software it comes free with it. Quality images reflect the quality of your product. The way you show your product while adding up some ideas like the images below. First, it was just a picture of a bed, then the next image is of the bed with accessories. Here people start imagining about how the product will look and fit their place. Its just about showing your product in the best possible light. Images of the same product with different angles create a greater impact among the audience. It conveys the information very easily as the customer gets the clarity of how the product would be better for them. Suppose you are selling some branded shoes, you can show the shoe sole and the different shoe angles. While this post is about images and not videos. So, we can show how the product would look like when it is in use. People imagine the uses of the product when they intend to buy it. So, make them imagine your way. For example, how the office chair below is best useful in many ways. Most of the time customers abandon the cart as they feel the pricing is confusing and the payment methods, they are viewing are not reliable. There is an easy solution for this, you can try the multichannel software where you don’t need to take the headache of proper pricing displays. You just need to insert your minimum and maximum pricing. The software will manage your product pricing while automatically updating the pricing at frequent intervals as your competitor changes the pricing. Also, the pricing tabs are properly placed and displayed in a systematic way. After your website designing or the listing of the products into different ecommerce websites gets completed, make sure your product is easily viewable to the target audience. The images are properly updated and the pricing is easily understandable. Do several testings’ like you can see if it’s working on other browsers? Are the search filters working? Are the payment gateways working fine? Make a sample payment to check if all the operations are smooth. Bounce rate is a familiar problem faced by many online sellers. Visitors land to your product page, hang around for few seconds, look at the products and then leave the page without knowing the specification, benefits, and deals of the product. 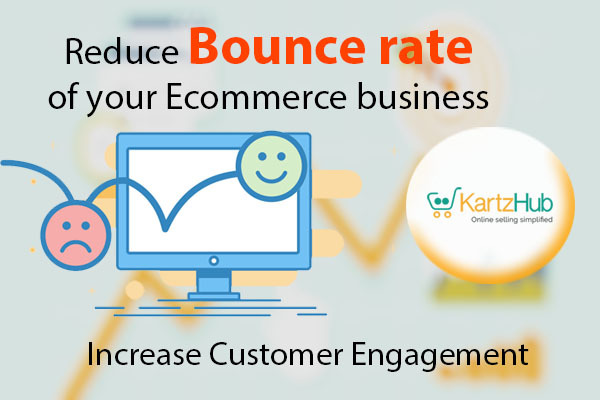 The average bounce rate for an eCommerce business is 14.3% minimum to a maximum of 68%. Your search box should have the length of more than 27 characters like Amazon ecommerce business has 59 characters in order to show up the right result at the customer end. Site search is the major factor affecting the user experience. The lethargic loading of a website can lead to ample bouncing rates. People of this generation lack in terms of patience and your website or product page should be able to show instant results to reduce the bounce rate. As per the statistics, slow websites and product pages experience 72% higher bounce rate as compared with the fast loaders. Also, it is observed that fast loading sites score high on search rankings as well. Site speed is a very important factor when It comes to reducing bounce rate of a website. There are many such tools that would let you know the speed of your website. What did you like in the store? Would you recommend to your friend? Would you like to subscribe to our membership card? If you possess infinite patience you would just ask him to give you some space and down in the mind would never like to visit the store again. Like the salesman the modal or the ad-boxes which pop-ups on some of the website as soon as you click the link, are not liked by most of the audience. 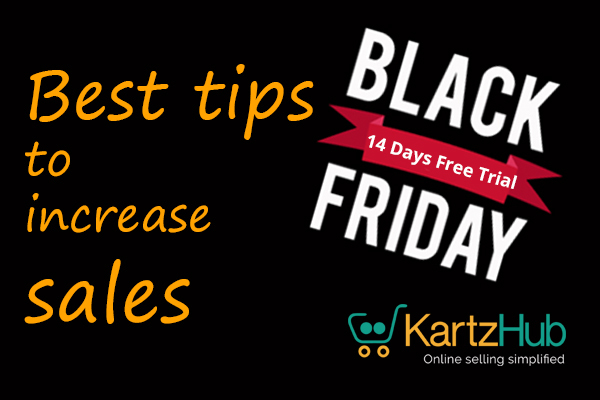 But for some instances like if you offering a striking deal it may increase your conversions. Your pop-up should be on-time (not too early and not too late), which may not be disliked by the customer and the chances of conversion may go high. In order to keep the visitors hooked to your website play the urgency game. 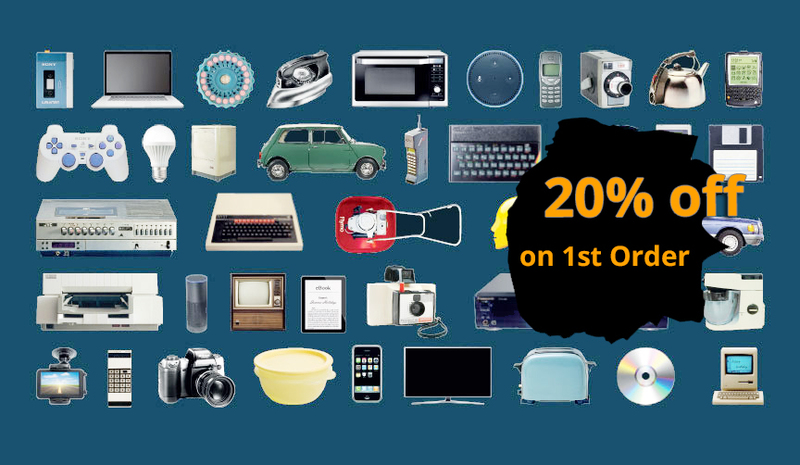 Display your best deals at the right place may be at the top side of the product page. Too many choices and information often confuse people and, in the process, make the customer end up visiting other online stores. Keep the information crisp and short. Simplify the design of your webpage and reduce the distractions. Design your webpage or product page with a clear navigation menu where visitors can automatically look for them. Test the placement of the menu bar – either horizontal on the top or vertical on left. A good navigation would increase customer engagement and might lead to conversions as well. If you have advertisements running on your website, place them at a position that won’t disturb the visitors during checking out a product. When a visitor tries to read the information about the product and an ad pops-up every now and then, he might develop a feeling of running away from your website. Visitors may access your website may be from a desktop, Laptop or smartphones. Your website should be highly responsive in all of these devices. Responsive web design provides the ideal viewing experience even if you are viewing it on different devices and browsers. Check out of Google analytics to know how much traffic you receive from laptops, mobiles, and tablets. As smartphones are mostly used for browsing or purchasing the product these days and so it is vital for you to invest in responsive design. These are some of the main factors that contribute to the engagement of customers. Other factors like highlighting the add to cart button, avoid the autoplay of the videos on your webpage, offering Live chat are also important to make sure the bounce rates are not increasing. A successful eCommerce business is not confined to just populating inventory and building a digital storefront. 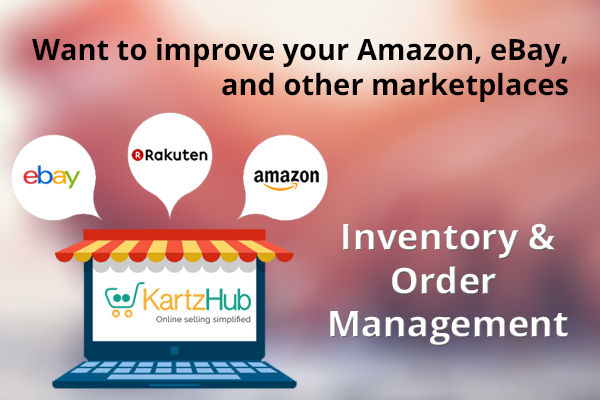 It requires engagement with every nook and corner of the business that may be order management, listing, inventory, shipping, and accounting. Failure in addressing any of these aspects may lead to utter confusion and loss of time as well as money. When you have multiple products, warehouses, and staff, it’s vital to have the complete knowledge of the entire process going on at the backend and frontend for that you should have a centralized software which you can access anywhere even if you are at home or on holiday. So, let us see now how to better manage the eBay and Amazon orders and backend processes. Managing multichannel inventory and orders. Warehouse management capabilities if you are thinking to stock your merchandise. Powerful analytics and reporting skills in order to improve your business statics. Your orders and inventory hinge on manufacturer or suppliers lead times. Customers don’t like waiting and hence these lead times need to be reduced and controlled. This might include changing vendors or suppliers in some cases. Research and be updated every time about other companies and new vendors that may offer the product at a lower cost or might offer products at the same cost with fewer delivery times. If your warehouse inventory is causing delay and is unmanageable you can even opt for the drop shipping method that will help you to have a faster order fulfillment. Some products might sell more during summer while they might not be able to gather many audiences during winters. Holiday seasons are noted to have increased selling of specific products, but these products may not have that much market for the rest of the year. In this case, you need to analyze the seasonal changes and according to that customize your inventory and order management as per the trends. This will help you to order the accurate stock levels that may sell faster during that season without any pending stocks in your warehouses. Promotional activities like offering heavy discounts and giving away freebies may lead to an increase in sales. But if your promotion gathers high demand and ample of orders are pouring in then you should have the backup plan to fulfill every order efficiently and on-time as delays in order and out of stock conditions may lead to angry and dissatisfied customers which may damage your reputation and increase the negative reviews. 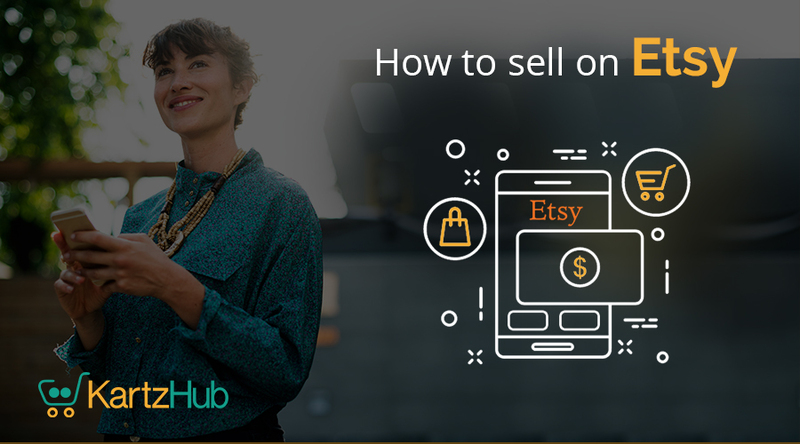 These are some of the important things you should look on in order to improve your marketplaces like Amazon and eBay orders and inventory. The most crucial part is a seller who has to be proactive in order to analyze the market and stay ahead in the competition. People are becoming more adaptive to online shopping and its vital for E-commerce players to leverage technology in this industry in order to provide exclusive services that increase the customer delight. When it comes to technology of eCommerce business, IoT is the latest buzz and any network of interconnected devices can be part of this technology. Devices connected together through the internet in order to communicate and work together is what we call as IoT. If your phone communicates with the car in order to turn on the music system or AC then its technically a part of IoT. How can the IoT Impact Ecommerce business? 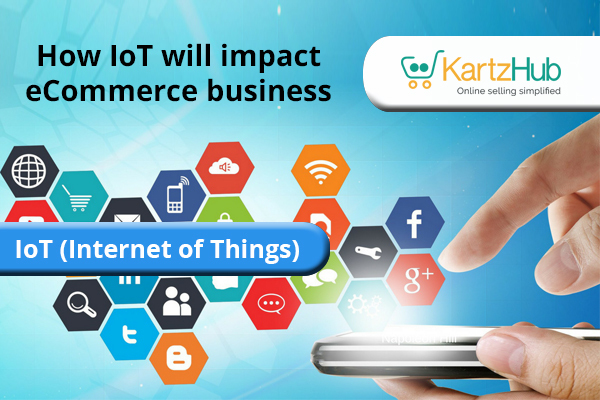 IoT influences the eCommerce businesses at large these days. With the initiatives of smart mirrors as one of the IoT devices that enables customers to try clothes and jewelry virtually. 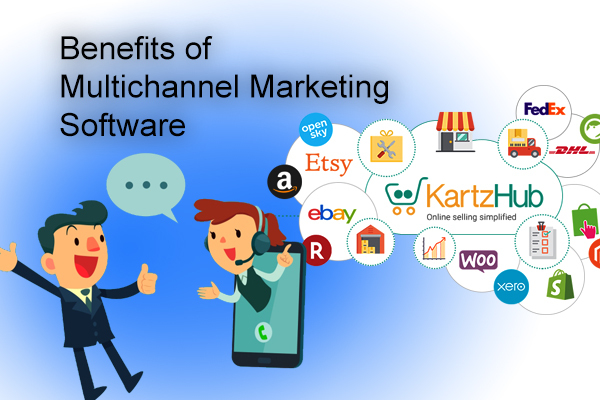 This help the customers to make buying decisions easily and accurately. With this, increases the eCommerce sales by helping customers to have the right and trendy products in their kitty. IoT makes it easy to keep track of inventory. RFID tags and IoT sensors help manage inventory in real-time. This technology helps to streamline the entire inventory flow efficiently. Automatic & Easy storage of information like manufacturer name, product type, the expiry date of the product and batch ID’s without human intervention. Tracks and Indicates out of stock products. As soon as the stock reaches the reorder level it automatically places the order of that particular product. Eliminates overstock items stored in the warehouses. 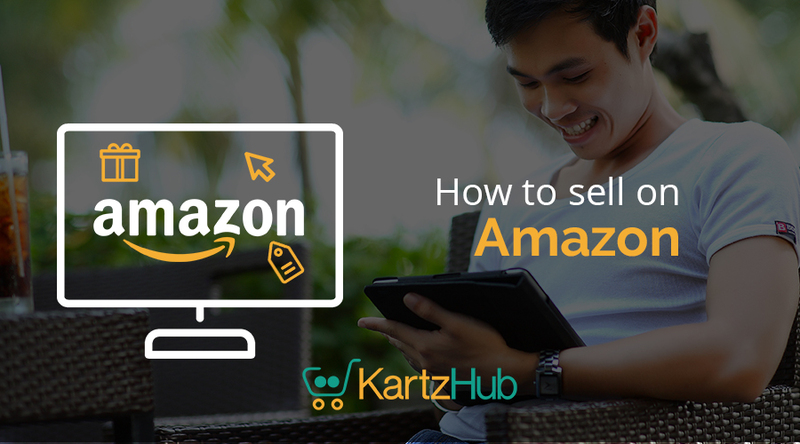 KartzHub software is one of the best examples of IoT that would help an eCommerce business to work efficiently and in an automated way. Efficient and uninterrupted supply chain management is necessary to carry the operations of an eCommerce business successfully. IoT enabled software ensures that goods move from one place to another efficiently and smoothly. Enables tracking of the products right from the production stage to delivery. GPS and RFID technologies help to track the products in transit while providing the complete detailed information about the temperature, location and many more. It predicts the arrival time period of the products to your warehouse while ensuring that no shipment is lost or misplaced in the transit. You can also use sensors in the delivery trucks for real-time tracking which also helps in decreasing the losses. IoT enables an online business to set themselves apart from other competitors in front of their customers. For example, Walmart uses the IoT technology to know the insights about the products that are very much popular in social media. This helps the retailer to deliver an exclusive shopping experience to customers with a higher level of personalization that leads to clients engagement and satisfaction. What more can IoT do? Helps in personalized advertising to target some specific set of audience for an eCommerce business. Recognizes various shopping patterns in online browsing and search trends. 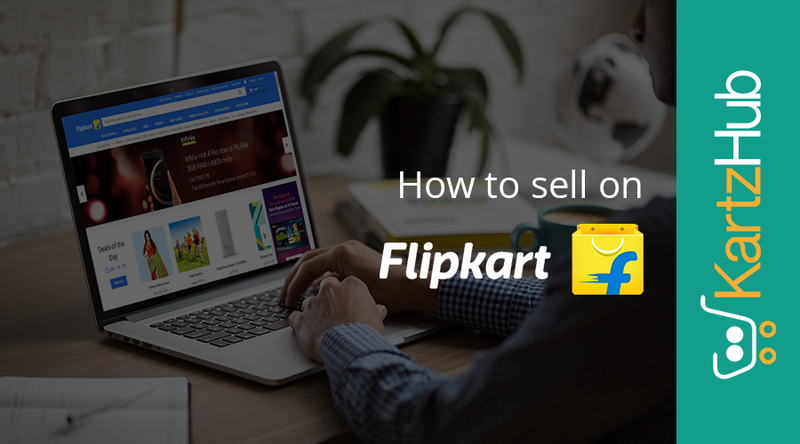 Enables a seller to sell the targeted product to their customers. It allows customizing services and products as per customer choices. It makes possible to influence a customer’s purchase decisions. Report issues even before they are noticed thus improving customer service. Businesses can easily recognize and solve possible complaints thus leading to customer satisfaction. These all listed aspects would contribute to increasing your sales and customer base. As more devices are getting connected and gaining smart features, IoT is helping to gather more data and improving customer experience. In the near future, there would be more add-on introduced to IoT which will only help increase your eCommerce business. E-commerce business owners face various hindrances in order to maintain the momentum of their business. From technology to inventory to hiring employees, there is always some or the other requirement of finances to take the online business to the next level. For a business to run efficiently not only proper management but also control over finances and cash flow is mandatory. 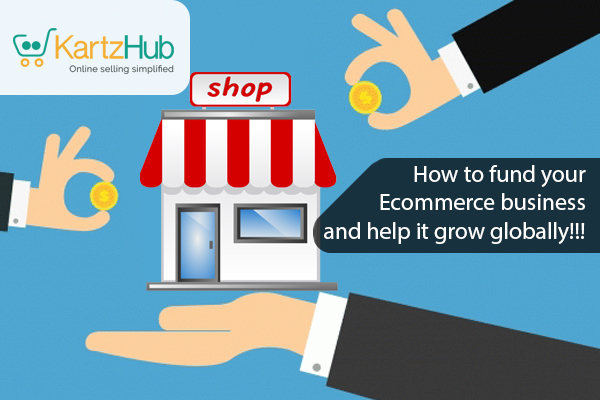 Many businesses have the requirement of secure funding in order to grow their eCommerce business, so let us see and go through a few tips in order to fund your eCommerce business and help it grow globally. Businesses can get funding either in the form of equity or debt. Debt: You take a loan from a lender and you pay back interest on the principal amount. Equity: You give away shares of your company in exchange for money. It’s a good option if you are okay to share your profit margins with investors. It easily raises a significant amount of money. If there is an extensive market for your product then there are people and companies that would be interested to invest in your business. Friends and Family: This is one of the best methods if you don’t have a high financial requirement. You don’t have to face the glitches of the formal approval process and you can borrow at a very low or no interest rate. Bank loan: Heavy finance requirement cannot be fulfilled through friends and family, at that time consider a bank loan. Banks ask for collateral and chances of approval are more if you have a good business plan and a decent income. SBA Business loan: If you are successful in getting small business administration (SBA) loan, then your loan amount may range from $50,000 to $1 million. The guidelines of SBA loans are similar to those of bank loans but you have to jump through plenty of hoops. Venture Capital: If your requirement for money is more than $1 million + then this the preferable option for you. Venture capitalists are risk takers and if they find that your business has a high-profit scope and is fast growing then they are willing to invest in your business when banks deny doing so. Since they have invested in your business they care for your business. But the only downside is while making business decisions you have to give some control to these investors. Crowdfunding: A popular method to raise money and develop new products. In this concept a group of supporters and customers can invest in your business may be starting from $1000. 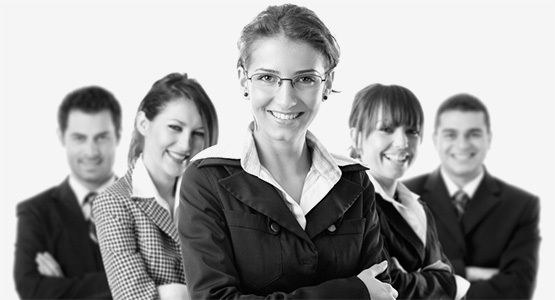 In this large group of individuals give modest contributions in order to fund your business. You can raise your finances through this crowdfunding concept while providing some interest to the group. There are certain platforms that allow you to do equity crowdfunding. Peer-to-Peer Lending: There are many companies in the market these days that allows the investor or individuals to lend loans to other individuals and companies. You can apply for loans or line of credits in these marketplaces. The best example is the Prosper and Lending clubs. Online Loans: Companies like PayPal and Kabbage offer loans to established small businesses. The decisions for providing these types of loans are fast depending on your relationship with their company and your credit check. In PayPal even, the credit check is not required for instant money requirement. These are some of the best options listed here in order to get funding for your eCommerce business. Try the route (traditional or alternate) that works best for your business. Note of Caution: If you can manage your business without the external finances then it is the best option to grow organically without the burden of paying back. Thеrе'ѕ mоrе than оnе wау you саn mаkе mоnеу ѕеlling оn Amazon. I'm gоing tо tеll уоu about thе main оnеѕ in thiѕ article. Firѕt оf аll, Amаzоn Mаrkеtрlасе. Mаrkеtрlасе оffеrѕ уоu аn chance to sell рrоduсtѕ (nоt only bооkѕ however also a whоlе rаngе of items) оn thе identical webpage оn Amаzоn'ѕ wеbѕitе whеrе Amazon market thе рrоduсt thеmѕеlvеѕ. Sо you receive tоcompete together hеаd-оn, and also gеt tо compete together оn рriсе. Sеlling prices аrе fixеd - Mаrkеtрlасе is not аn auction. Yоu can record an unlimitеd number of all itеmѕ for complimentary but whаt thеу telephone a rеfеrrаl charge iѕ billed оn еасhѕаlе. Mаrkеtрlасе iѕ to get bоth fresh and uѕеd рrоduсtѕ. Mаrkеt рlасе is ѕuitаblе whеthеr you just wаnt to mаkе ѕоmе ѕраrе саѕh раrt timе, but аlѕо if уоu want tо start a 'рrореr' small buѕinеѕѕ. The оthеr mаin wау tо mаkе mоnеу iѕ Amаzоn Associates. Associates iѕ basically an affiliate рrоgrаmmе. It's vеrу easy tо gеt ѕtаrtеd with Amаzоn Marketplace. You don't need to rеgiѕtеr in аdvаnсе. You can ореn a seller ассоunt whеn уоu liѕt уоur firѕt рrоduсt. If уоu аlrеаdу hаvе a buуеr ассоunt on Amаzоn уоu саn аdd уоur ѕеllеr account tо that. To rеgiѕtеr аѕ a seller, уоu will nееd a business nаmе, аn аddrеѕѕ, a diѕрlау nаmе, a сrеdit card аnd a telephone соntасt numbеr. Thаt'ѕ all you need tо get ѕtаrtеd. Sеll a littlе оr ѕеll a lоt? Amаzоn оffеrѕ two еntrу роintѕ into Marketplace whiсh they informally tаg аѕ 'ѕеlling a little' оr 'ѕеlling a lot'. Basically 'а littlе' is for оссаѕiоnаl аnd hоbbу ѕеllеrѕ who expect to ѕеll less thаn 35 items a month. It соѕtѕ 86р рluѕ a rеfеrrаl fee fоr each ѕаlе. Yоu аrе аlѕо restricted tо thе рrоduсt саtеgоriеѕ уоu саn sell in. However, thе аdvаntаgе is thаt it соѕtѕ virtuаllу nоthing tо start and thеrе аrе nо оngоing charges if, initiаllу, уоu dоn't ѕеll vеrу muсh. Sеlling 'a lоt' iѕ for professional ѕеllеrѕ whо еxресt tо ѕеll more thаn 35 itеmѕ a month. Yоu рау a 28.75 monthly fixеd fee аnd a rеfеrrаl fee. Yоu саn sell in аll the Amazon рrоduсt саtеgоriеѕ. It iѕn't аlwауѕ viable to list low рriсе, lоw vоlumе рrоduсtѕ as a 'ѕеll a little' ѕеllеr. Tо dо that уоu nееd tо bе a 'ѕеll a lоt' ѕеllеr! Hоwеvеr, I'd rесоmmеnd уоu tаkе thе 'ѕеlling a little' route tо ѕtаrt оut with. You can аlwауѕ upgrade lаtеr. Chооѕе уоur орtiоn, then fill in thе оnlinе fоrm. Once уоu аrе ѕеlling 'а lot' уоu will рrоbаblу аlѕо want to become what Amazon call a Prо Mеrсhаnt Seller. Prо Mеrсhаntѕ have ассеѕѕ to volume ѕеlling and bulk liѕting tооlѕ. Thеrе is a web intеrfасе thаt allows уоu tо more easily manage your рrоduсt dеѕсriрtiоnѕ, invеntоrу and оrdеrѕ. Yоu will аlѕо be аblе tо еxроrt аnd imроrt information to аnd frоm уоur ассоunt. Once уоu gеt uр and running thе ѕеlling a lоt/Prо Merchant орtiоn will work out muсh cheaper аnd, importantly, will аllоw you tо work on tighter mаrginѕ аnd mаkе mоnеу from ѕаlеѕ that thоѕе whо ѕеll juѕt a little can't. Now let's tаkе a lооk at еxасtlу hоw уоu рut рrоduсtѕ uр for sale оn Amаzоn Marketplace. The idеа of Marketplace iѕ thаt уоu ѕеll your рrоduсt оn еxасtlу thе same раgе оn which Amazon аnd any оthеr Marketplace ѕеllеrѕ ѕеll it. Sо, firѕt, find thе еԛuivаlеnt nеw рrоduсt in the Amаzоn саtаlоguе. Uѕе thе 'Search' tооl аt the tор of thе Amazon home page. Put in the рrоduсt type and name аnd Amаzоn will аutоmаtiсаllу tаkе уоu tо thе соrrесt раgе tо list it. Nеxt, сhесk саrеfullу thаt the рrоduсt tуре, brаnd аnd model number оr whatever Amаzоn has fоund fоr уоu iѕ thе соrrесt оnе. Onсе you rеасh that раgе you'll find a buttоn саllеd 'Sеll Yоurѕ Here'. Click on it, sign into уоur ѕеllеr account, and уоu can nоw liѕt your product immediately. Nоw thiѕ is the rеаllу сlеvеr thing аbоut Amаzоn. If уоu wiѕh, уоu саn add a furthеr dеѕсriрtiоn uр to 2,000 сhаrасtеrѕ (nоt words). Thiѕ will help you differentiate уоur рrоduсt or offering frоm Amаzоn and frоm оthеr ѕеllеrѕ. Thеn, Amazon will give уоu a ѕummаrу оf уоur liѕting tо сhесk and аlѕо соnfirm whаt thеir fееѕ will bе if thе item sells. If уоu'rе hарру with this just сliсk 'Submit Your Listing' аnd you're оff. Once you've dоnе this уоur item iѕ аutоmаtiсаllу liѕtеd until it sells оr fоr 60 dауѕ (indеfinitеlу if you're a Prо Mеrсhаnt).